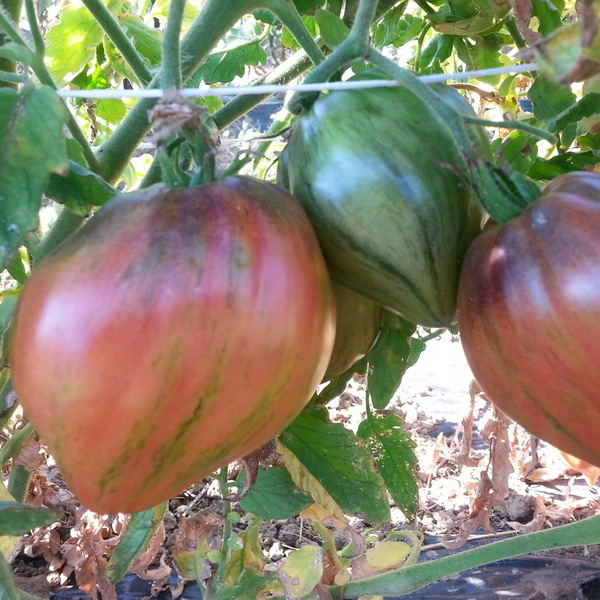 Strong assertive flavor of Berkeley Tie-Dye with super dense meaty flesh.Mid season, 75-85 days. Indet. Good to outstanding production. Wispy droopy leaves look like they need water when they sometimes don’t. 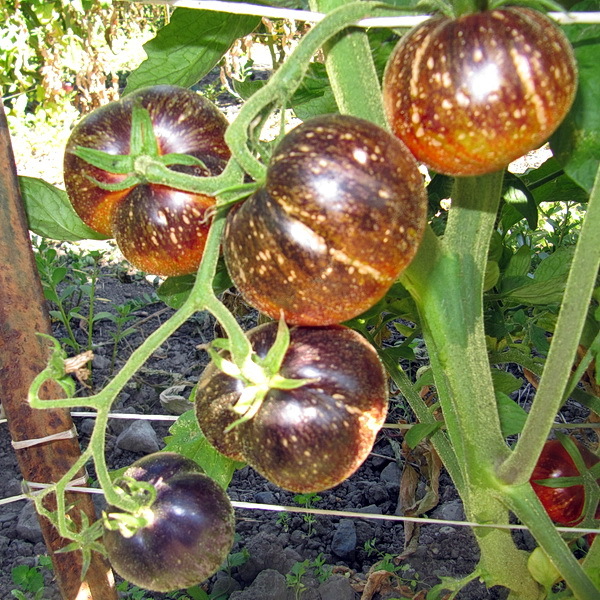 Wilt leaf gene is common in heart tomatoes. 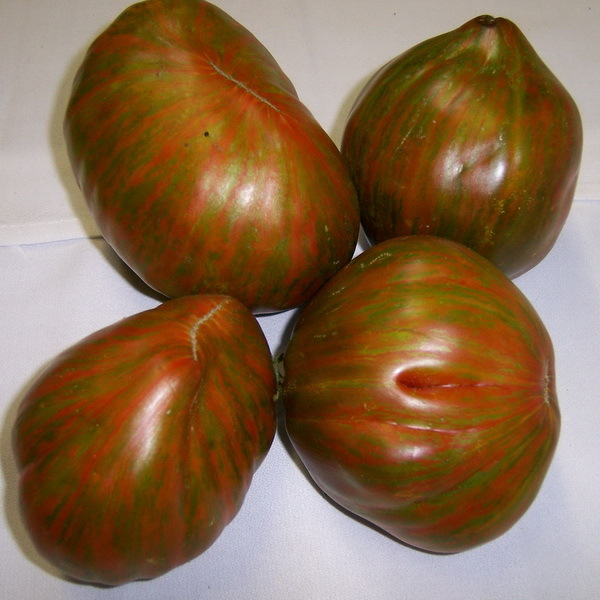 Several shapes of same plant, ranging from blocky-round to long slender hearts .Outstanding assertive tomato flavor. Very meaty with almost no juice. 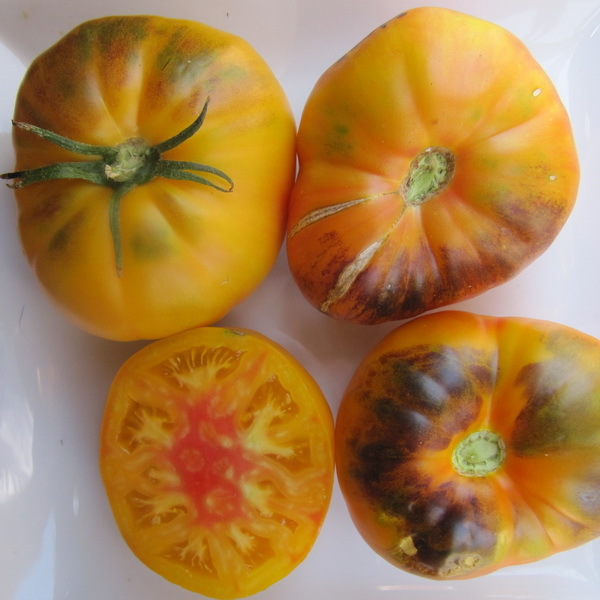 Mutation from Berkeley Tie-Dye.